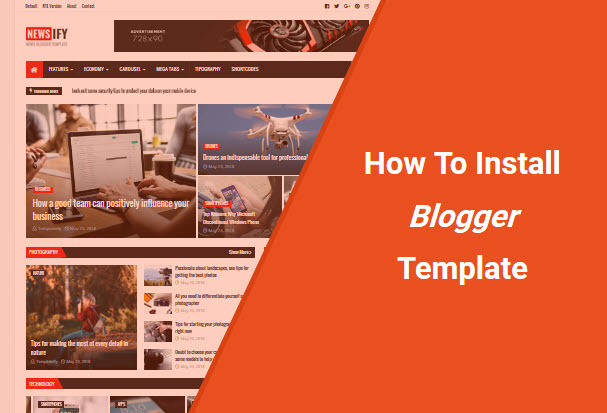 Before installing a new theme on your blog, it is important that you first make a backup of your custom gadgets, and the old theme, if you still want to use them in the future. 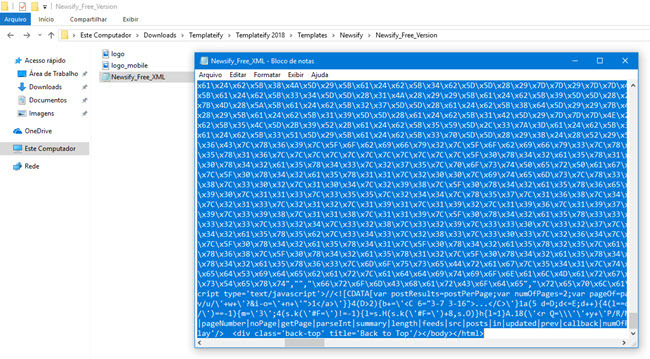 After you have downloaded the new theme in .zip or .rar format, extract the file so that you can install it. 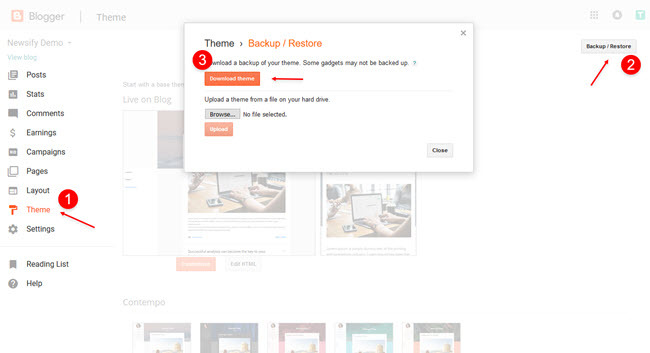 1.1 - Access your blog Theme > and click on the Backup / Restore button > then click Download theme. 2.1 - After you have downloaded and extracted the new theme, open the folder and find the theme file with the extension .xml. 2.2 - Open the file with notepad, wordpad or other code editor of your choice. 2.3 - Click inside the code, select all code (Ctrl + A), and copy the code (Ctrl + C). 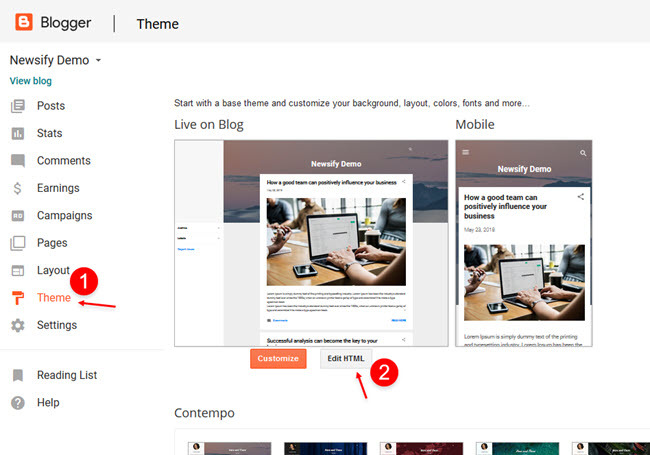 3.1 - Access your blog Theme > and click on the Edit HTML. 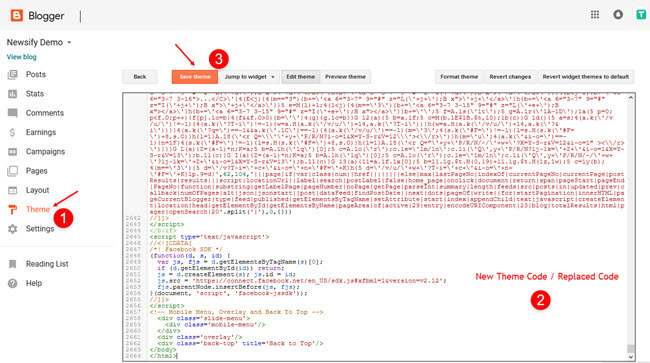 3.2 - Click inside the code, select all code (Ctrl + A), and paste the new code (Ctrl + V). 3.3 - After you have replaced the code click on Save theme. 3.4 - Go back to the previous page to make sure the theme has been installed correctly. 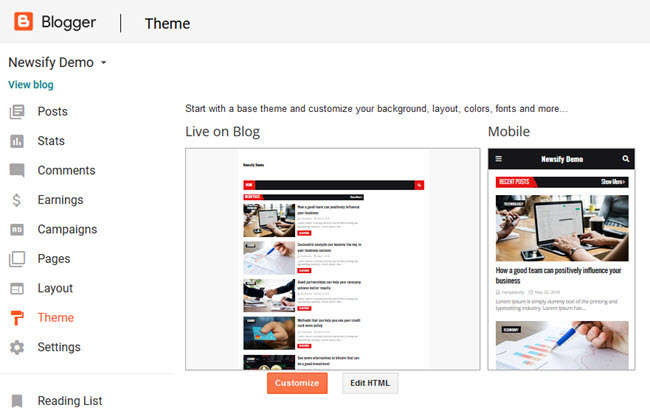 SUCCESS: Your new theme is already installed and ready to be configured.